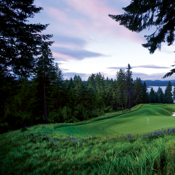 Do you enjoy playing golf at The Golf Club at Black Rock in Idaho? The OFFICIAL Golf Club at Black Rock app gives golfers a free, easy to use, interactive combination of comprehensive course information, GPS positioning, digital scorecard, augmented reality range finder, and various other useful club-specific features. Download today and put the entire Golf Club at Black Rock in your pocket! * This application uses GPS for the GPS Caddie and Range Finder features. Continued use of GPS running in the background can dramatically decrease battery life.